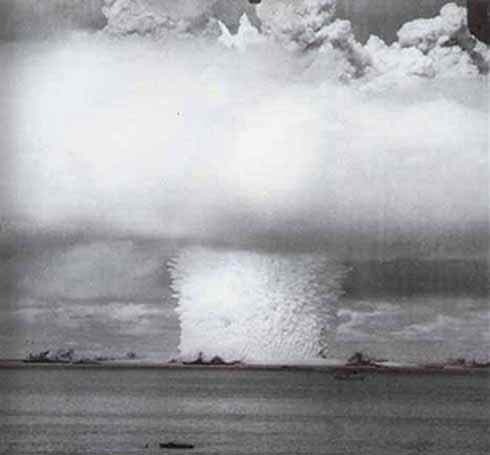 The Pacific island of Bikini Atoll was the site of the 1946 United States nuclear weapon tests. Experiments to learn the power of the atomic bomb resulted in several detonations of these new weapons on various types of targets including naval warships. Utilizing warships left over from World War II, the power of the bomb was sent against a mighty fleet. Many of the ships did not survive the tests and now rest at the bottom of Bikini Atoll's lagoon. The videos below contain rare, never before seen underwater footage of some of these ships.